Sun safety is something that I have taken very seriously over the years following the rebellious sun worshiping days in my teens and early 20’s. Now being in my 30’s, I understand the damage I have done to my skin in the past while sun bathing irresponsibly. I have had my fair share of sunburns and am seeing the effects of sun bathing on my skin through fine lines and discolouration over the years. For many years I have been on the path to prevent any further damage and to try and reverse some damage done (not so easy to do). 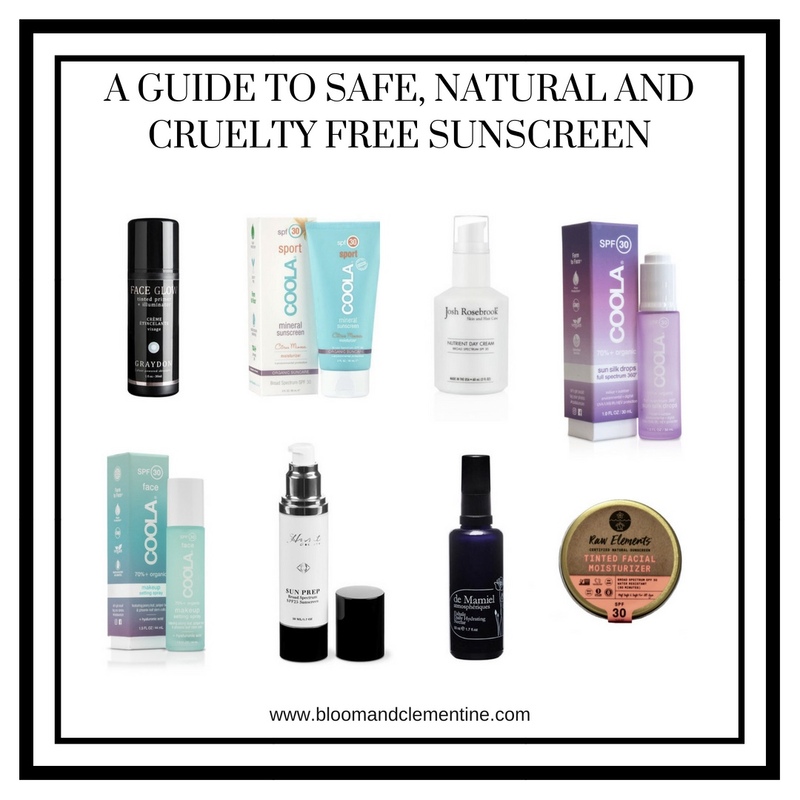 This article is a compilation of some of my favourite sun safety tips as well as mini reviews of many of the natural and cruelty free sunscreens I’ve tried over the years (some I love, some are okay.. I think it is important to keep an honest dialogue on which products work best, are safest, and my personal thoughts on them). I’ve included products that are multi-purpose, for face, for body, for children, for beach days (ie. waterproof), and for regular days where you don’t want to necessarily feel all greased up. To start off, I wanted to share some facts on sun care that I’ve learned over the years to help you along on your own sun safety research journey and to make your own informed choice when it comes to safe sun practices. This is a very important topic to address when you’re looking into safe sunscreen options. Mineral sunscreens are PHYSICAL blockers of the sun, they come in the form of Zinc Oxide and Titanium Dioxide and they REFLECT the suns rays away from your skin. Mineral blockers are touted as being some of the safest and effective options around for sun protection and I personally look for mineral sunscreens in my own products. Chemical Sunscreens ABSORB the suns rays and convert them under your skin using a chemical process to ensure your skin does not burn with exposure. Chemical sunscreens have been found to be skin irritants, allergy inducing, correlated with illness and disease, amongst other side effects. The most dangerous offender of the chemical sunscreens is called Oxybenzone and many companies are catching the drift and steering away from adding this health hazard/coral reef destroyer to their formulas. I personally choose to use mineral sunscreens in my own routine, though I have reviewed a few products below that do contain chemical blockers (which are clearly listed) as they have unique applications and are made natural/organic otherwise. 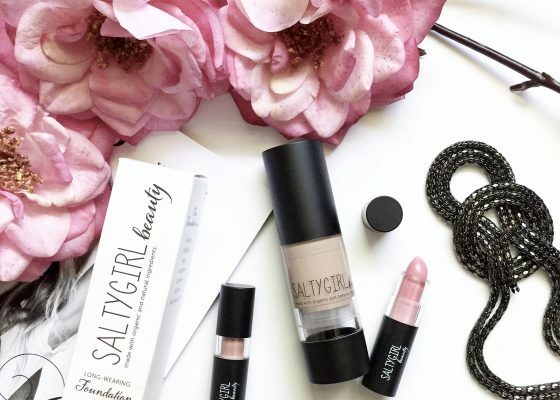 I am in hopes that these products in particular will be offered in mineral form in the future as their applications help solve some re-application issues that many people face (ie. re-applying sunscreen over makeup). I also completely steer away from chemical sunscreens while pregnant or for use on children. This is my own personal informed choice that I have come to after doing my own research. 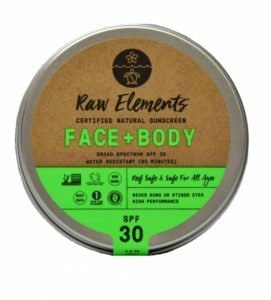 IF you make your own choice that chemical blockers are something you are okay with, then the company I’ve listed below (who also have mineral sunscreens in their line, one of which I’ve included as a favourite option) would be my recommendation as it is otherwise cleaner than other chemical sunscreen options. This is a hot topic when it comes to sun safety as it is important to look at the BENEFITS that LIMITED sun exposure can provide us. Sun exposure is our biggest source of Vitamin D, a vitamin that we as a human race are incredibly deficient of. Vitamin D works to combat many illnesses, both physical and mental. When using sunscreen, we are completely blocking the benefits of the sun in terms of its levels of Vitamin D.. however, our suns rays are stronger and increasingly dangerous due to environmental stress and damage to the protective Ozone layer in our atmosphere. This creates a predicament and requires you to read up, research and make another informed choice on how to benefit from sun exposure without incurring harm. After doing my own research, I make sure I stick to specific rules when it comes to exposing myself to the sun.. This is PERSONAL preference and are methods I’ve come to as a result of my own research and I strongly urge everyone to make their own informed choice and do as much research as possible (as well as discuss this with your own doctor). -I don’t expose myself to the sun (without the use of sunscreen) between the hours of 10:00am and 3:00pm. This is when the suns rays are at their strongest. I tend to be more lenient in the morning hours and LIMIT the number of minutes I sit in the sun unprotected. -Due to my past of sunbathing and sun damage showing up on my face in my 30’s, I wear sunscreen on my face and neck at all times. This is my personal preference as I want to try and avoid more damage and fine lines. I understand this limits some Vitamin D absorption that could be beneficial. -Have a dermatologist routinely check your skin for spots, freckles, moles, growths. As I mentioned above, there are two major types of ingredients when it comes to mineral sunscreens, Zinc Oxide and Titanium Dioxide. While both are great options for sun protection, one is certainly better at blocking harmful rays. Zinc Oxide overall is considered more broad spectrum (ie. blocks both UVA and UVB rays) than Titanium Dioxide. While Titanium Dioxide is effective at protecting us from UVB and short wave UVA rays, it is less effective at blocking out long UVA rays compared to Zinc Oxide. Therefor, it could be assumed that Zinc Oxide is the best choice for blocking the sun as a broad spectrum SPF. Although, many products will contain both Zinc Oxide AND Titanium Dioxide to provide an incredibly powerful broad spectrum product. When is it important to wear sunscreen/How often should you apply? Here is another thing to consider when purchasing a mineral sunscreen. Zinc oxide and Titanium Dioxide are both chalky white substances which have been known to leave a white cast when worn as a sunscreen. Some companies will reduce the size of the particles in both Zinc Oxide and Titanium Dioxide to reduce or eliminate the white cast appearance on the skin. While particles CAN be reduced to smaller sizes without meeting nano sized status, once they surpass these size requirements they do become nano sized particles. When a particle is reduced to Nano size, it becomes small enough to penetrate the pores of the skin and cause irritation. This is why I ensure that I only use Non-Nano Mineral sunscreens. I have reviewed studies that also state that nano sized particles are not as harmful as one may think, but after reviewing ALL the research and looking for confounding variables in these studies, it is MY personal preference to continue using non-nano mineral sunscreens. Review: This product is a tinted moisturizer with SPF, De Mamiel is a high end green beauty brand originating in the UK. This moisturizer sinks into the skin well and does not leave a white cast behind. It sits better on the skin after toning rather than layering over oils or other moisturizers. It does come at a higher price point. 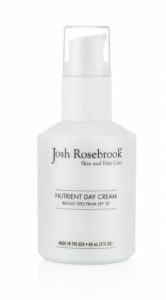 For those looking for an alternative that is just as amazing but not quite as hard on the wallet, I suggest Josh Rosebrooks Nutrient Day Cream. Review: This has been my favourite face SPF for years now and a product that I have repurchased over and over again. I personally use the non-tinted version as I layer it underneath my makeup but the tinted version is amazing too if you want to even out the skin tone. 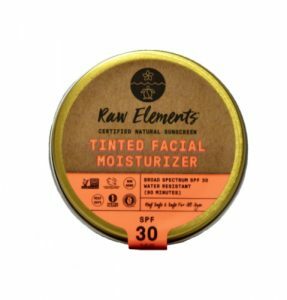 I find that this Cream works well over top of my other skincare products and almost helps to regulate/absorb oils beneath while still hydrating the skin. In addition to its ability to block your skin from the harsh sun rays, it also comes with a long list of well researched ingredients that will improve your skin as you wear it. My redness prone, acne prone and highly sensitive skin loves this product and I have never experienced a burn on my face when wearing it as directed. Review: This is my personal favourite for face and body SPF. It sinks in well and doesn’t leave a greasy feeling behind like many sunscreens seem to do. 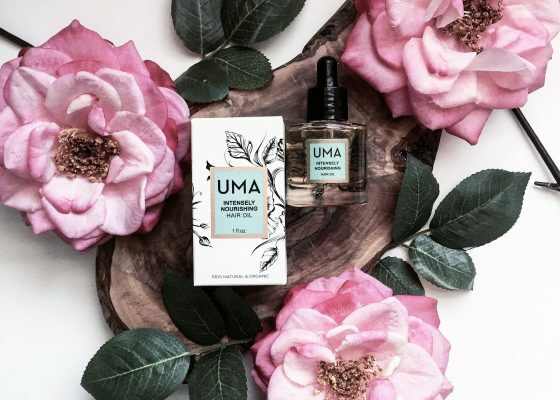 It smells just like a citrus mimosa and is always successful at preventing sun burn. I use this on myself and my husband when we’re out in the sun for long periods of time. I have also used this on my face when going to the beach or the pool (as it’s waterproof) and have not experienced any bad reactions or breakouts. It leaves a VERY slight white cast but isn’t overly detectable. Titanium Dioxide (Sunscreen) 5.25%, Zinc Oxide (Sunscreen) 3.0%. Review: This is one of coolas more innovative sunscreens as the drops can be applied into any skincare product/foundation/on its own to add an SPF value for your skin. I love the innovation behind some of coola’s products and the product has been successful at preventing burns on my face. 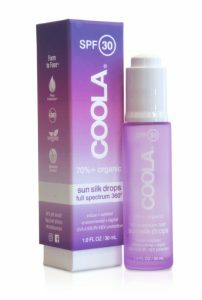 The one downside is that Coola has been known to use chemical SPF and this product is one of them. I love this product but really wish it came in mineral form! This choice may have been to avoid any white casting and to create a liquid product that comes out in a dropper and can be mixed with other products. 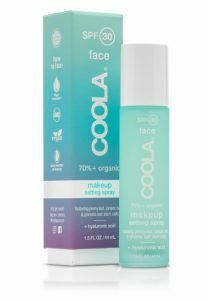 Review: As I mentioned above, I love the innovation behind some of Coola’s products and this product has been successful at preventing burns on my face. 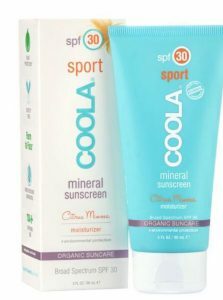 The one downside is that Coola has been known to use chemical SPF and this product is one of them. I love this product but really wish it came in mineral form! This choice may have been to avoid any white casting and to create a liquid product that comes out as a spray. What I LOVE about this product is that it solves the issue that many people face: re-applying sunscreen over a face full of makeup. While I do wish for a version of this product to come out in mineral form, I do sincerely appreciate its application and think its an amazing choice for those who wear makeup day to day. I keep this on hand in my purse when I need to cover my face from the sun but cant wash my makeup off to re-apply. Active Ingrdeients: Avobenzone 2.8%, Homosalate 3.5%, and Octisalate 3.9%: Deliver broad-spectrum sun protection. Inactive Ingredients: Hyaluronic Acid: Creates a moisture barrier on the skin, helping to make it smoother and softer; holds up to 1,000 times its own weight in water, thus producing amazing benefits for hydrating skin. Review: This is one of the sunscreens that I’m most comfortable using on my little one. It has an incredibly clean and minimal ingredient deck and uses only zinc oxide as a mineral blocker for the sun. It smells like soft cocoa and while it can leave a white cast (except for tinted versions), it can be rubbed in more to reduce this. I find it can be greasier than other sunscreens although it works amazing. I use this as my daughters sunscreen during beach and pool days as it’s waterproof, contains minimal/safe ingredients and really protects her fair skin. This sunscreen also comes in a tinted version for those who want to use it for beach days and want to avoid the white cast. I also use the stick version to apply to my daughters face as I’m able to see where I applied it better. These products certainly perform and I keep them in our beach bag and diaper bag to have on hand at all times. Review: This is a heavy duty zinc oxide lip protector and best worn in beach or pool days. It does leave a fairly heavy white cast in the lips and that’s why I would personally avoid it for everyday use unless it’s under a lipstick or tint. 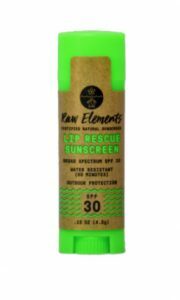 It’s especially great for protecting kids lips and the clean ingredient deck that raw elements is so well known for makes me much more comfortable using it for kids. 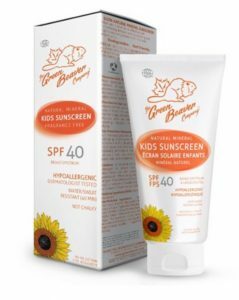 Review: This Sunscreen is a great option if you have children who try to squirm away when you’re applying. The spray (non aerosol) goes on easily and rubs in well. It has no white cast, rubs in easily, isn’t thick, but leaves a slightly greasy finish. This product is NOT waterproof so I use it only when leaving the house quickly to go out when we’re not heading to the water. If you’re looking for waterproof then I suggest the green beaver lotion or raw elements face and body. I always keep this spray on hand in my diaper bag for quick application and re-application. Review: This is the waterproof alternative to green beavers kids spray spf. It is a thicker lotion than the spray but it rubs in fairly well and doesn’t leave too much of a white cast. I alternate between this product and the raw elements sunscreen on beach day. 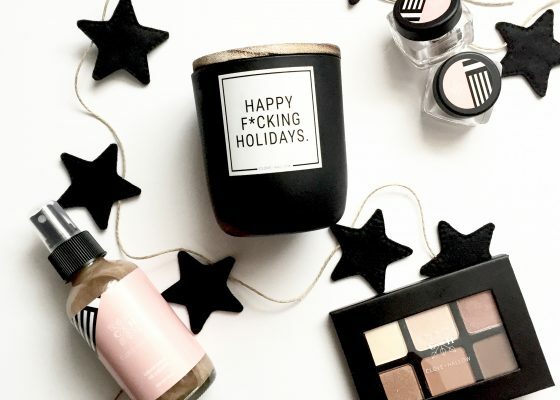 This product does contain a larger ingredient deck than raw elements and I do love raw elements for how minimal and clean their ingredients are. 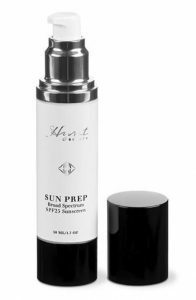 Review: This is my FAVOURITE makeup primer and the fact that it protects me from the sun is a much needed added bonus. I love the smell of this product.. it smells like fruit punch! It also completely fills fine lines and creates a perfect canvas for my makeup. It only contains titanium dioxide so I tend to double up with Josh Rosebrooks Nutrient Day Cream underneath. Review: This product is a tinted moisturizer that contains sun blocking ingredients but had yet to be regulated for its sun safety protection. 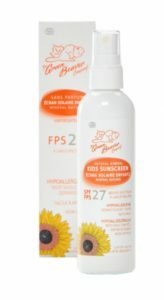 When using products that are not yet regulated, it is IMPERATIVE that you also use regulated products alongside them to protect yourself from the sun properly.. but it is notable that the ingredients in these products are potentially going to help block the sun rays when layered with other sunscreen products. Graydon’s Face Glow is tinted with a hint of shimmer and is perfect for anyone who wants a J-LO vibe to their skin. I have incredibly fair skin so it darkens my tone up slightly but for anyone who isn’t quite as pale, it would add a gorgeous hint of glow to the all over complexion. While it is not regulated as an SPF yet, it does contain both non-nano zinc oxide as well as titanium dioxide which are both incredible physical blockers of the sun.